World Translation Center offers professional Berber translation services for English to Berber and Berber to English. We can also translate Berber to and from over 150 other languages, including all the principal languages of Europe, Asia, South America, the Middle East and a variety of African languages, at competitive rates. Our Berber experts have the ability to provide translation for virtually any project you might have, including marketing materials, technical, financial, legal and medical documents, websites and software. Our skilled project managers will match your project with a translator team most appropriate for the area of expertise needed. Each individual linguist works exclusively in his or her own mother tongue and within his or her field of expertise guaranteeing not only quality translation, but proper localization at the same time. After each document is translated, it will be edited and proofread by a second professional translator to assure highest possible quality. We also render transcription, video recording and subtitling services. Should you need to have an existing video dubbed, a commercial narrated or a telephone system recorded, our native Berber speakers are available to provide you with expert voiceover services. North Africa is the northernmost region of the African continent, which includes seven countries or territories; Algeria, Egypt, Libya, Morocco, Sudan, Tunisia, and Western Sahara. The largest ethnic groups in North Africa are the Arabs and Berbers. Some Berber-speaking North Africans may identify as "Arab" depending on the social and political circumstances, although substantial numbers of Berbers (or Imazighen i>) have retained a distinct cultural identity which, in the 20th century, has been expressed as a clear ethnic identification with Berber history and language. Berber or the Berber languages or dialects are a family of indigenous languages of North Africa west of the Nile. They are spoken by large populations in Algeria and Morocco, and by smaller populations in Libya, Tunisia, northern Mali, western and northern Niger, northern Burkina Faso, Mauritania, and in the Siwa Oasis of Egypt. 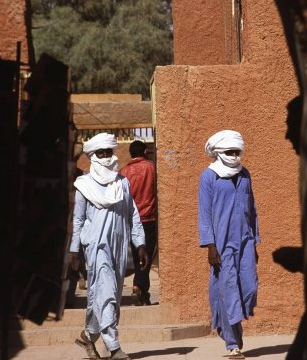 Large Berber-speaking migrant communities have been living in Western Europe since the 1950s. Berber became a constitutional national language of Algeria in 2001, and a constitutionally official language of Morocco in 2011. Most Berber languages were originally unwritten, preserved through oral use in rural areas, isolated from urban hubs. Berber scholars wrote in the more prestigious Arabic language, rather than their vernacular. Currently there are three writing systems in use for Berber languages: the Berber Latin alphabet, Tifinagh, and the Arabic script. Different groups in North Africa have different preferences of writing system, often motivated by ideology and politics.